We live in the era of the gaming chair. The once novelty item is now “the standard” for anything gaming related (they’re even even available for purchase at Walmart). Before it was even called a gaming chair, it was known as a racing chair. Every major Esports Tournament has a gaming chair sponsor; it has almost become as mandatory as a microphone for a live streamer and there are few gamers in the world who don’t want one. I was introduced to Arozzi at CES 2019 in Las Vegas, Nevada. Arozzi is a European gaming product brand founded in 2013 and was inspired by motorsports technology. I was able to experience all their products firsthand and let me tell you, these are not toys. Everything they produce is high-end quality. (Your products must be tested and approved for space travel to have a licensing deal with Star Trek, am I right?) High price points on their flagship items reflect this and I am sure they will last for the long term. Remember the phrase, “you get what you pay for?” Arozzi makes an assortment of products, including gaming chairs, desks, microphones, eyewear, floor mats, and (my personal favorite) the racing simulator stand. Before we dive into specifications, measurements, ergonomics, height, weight, and formulas for space travel, let’s breakdown the basics. I have been sitting in a DX Racer as of late; one of the most popular gaming chair brands in my opinion. We have four chairs in our household; a standard office chair, generic FRY’s Electronics gaming chair, DX Racer, and now an Arozzi Vernazza (and I, of course, have sat in almost every gaming chair at trade shows). Here is a simple physics test for you … squeeze the flanged area near your shoulders on the backrest. It feels like a Bentley when you sit in this chair! At no point of your body do you feel any of the inner metal framing. I did this test with all my other chairs and the results were opposite. I make a living sitting in front of the computer, so support and comfort are my most important features. I could care less about the way the chair looks! Frankly, this is the most comfortable chair I have sat in to date. Headrest game is tight. The Vernazza has a larger, more supportive cushion with the same texture as the chair. I am a “leaner” … I lean left, right, back, forward and sideways yet the chair is well supporting for my 250-pound body type. My Vernazza is all black with Arozzi logos on the headrest, middle support rest, and behind the chair on the seatback. Vernazza also comes in an assortment of colors including the racy, two-toned styles most streamers like. According to their online store, these chairs come two-toned in blue, green, red, white, and orange. Out of all the models I sat on at CES this was the most comfortable yet least stylish. 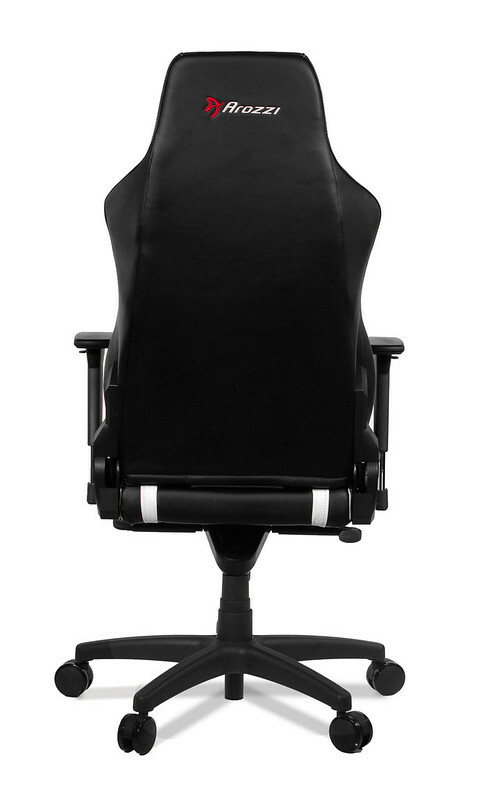 Smaller shoulder flanges, larger headrest, no holes in the seat back near your neck gives it less of the racecar driver or trendy gamer look. However, Vernazza is the new flagship model and the focus of this one is comfort and support. 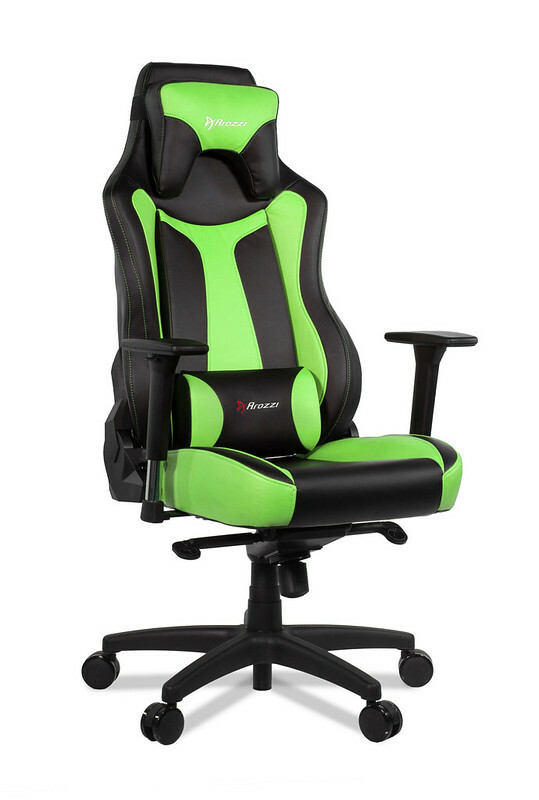 It’s wider than most gaming chairs and has a higher seat back which is great for a heavier-set fellow like me. 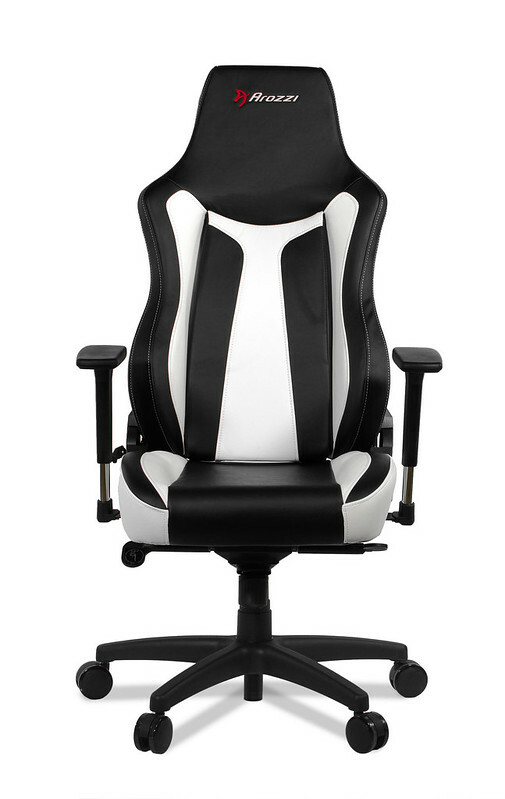 Adjustability wise it’s comparable to all the popular brands in the gaming chair market. I wish it had a little more range on the height adjustment, but I was still able to find my sweet spot. Rocking is key when you’re gaming (lose a match, lean back, and facepalm anytime you like). You can also adjust the dampening of the rocking feature. Vernazza’s seat back will go back to a 180° angle, literally flat on its back, making it napping material, for sure. The armrests are standard with their adjustment capabilities. Finally, and all joking aside, the Vernazza rolls so smoothly and quietly on its wheels. It’s priced on the high end but, in my opinion, if you spend long hours gaming or working in front of your computer it’s absolutely worth every bit of $399. The chair will pay itself back in a few years when you don’t have to buy another one! If you’re not “Arozzi Cozy” in your GamingLyfe, you’re doing it wrong. 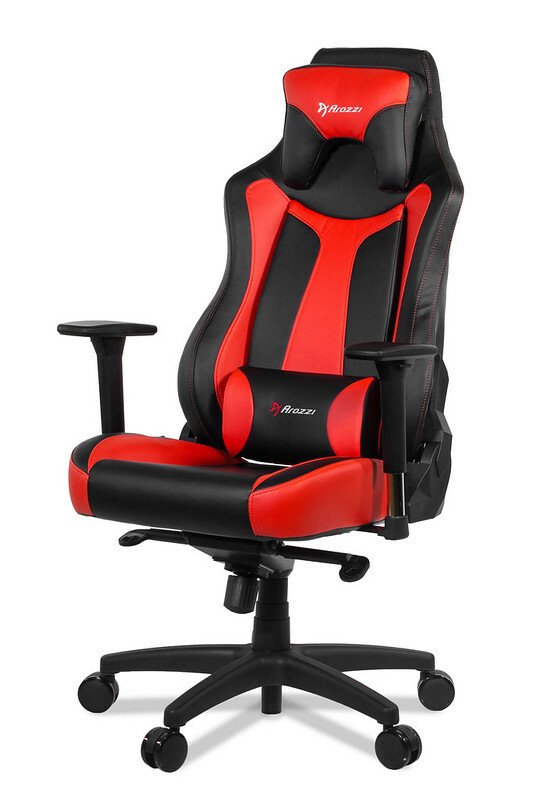 The Vernazza is a high-end gaming chair built for comfort and support. It doesn’t have all the trendy racing aesthetics some of the other Arozzi chairs have but it’s no ugly duck. It’s priced top tier but it’s built with quality materials and technology to justify the cost. It’s “Arozzi Cozy” for sure. 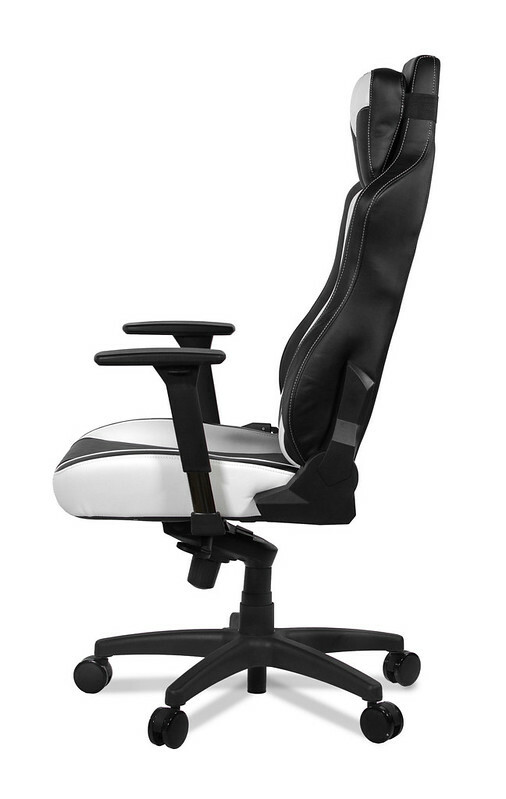 The Vernazza is a super high-end gaming chair built for comfort & support. It doesn’t have all the trendy racing aesthetics some of the other Arozzi chairs have but its no ugly duck. Its priced top tier but its built with quality materials and technology to match the price. Its “Arozzi Cozy” for sure.